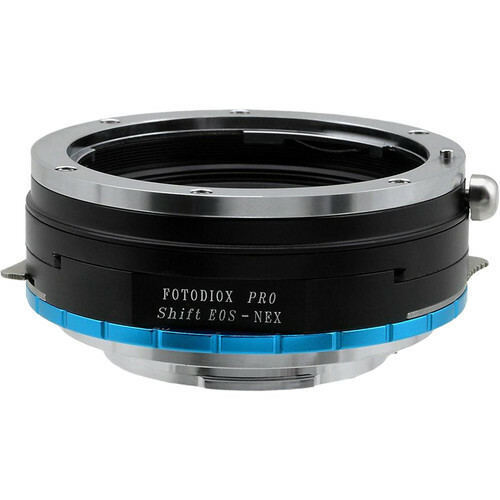 Make use of your existing M42-mount lenses on your Sony Alpha E-mount camera with this Pro Shift Lens Mount Adapter from FotodioX. Precision-crafted out of metal and featuring chrome-plated brass mounts, the adapter provides a secure and solid camera-to-lens connection with no play, gap, or wiggling between the elements. The adapter allows the lens to shift 10mm in each direction and rotate 360°. Additionally, it supports focusing to infinity. Box Dimensions (LxWxH) 3.5 x 3.0 x 2.0"